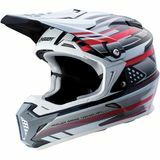 Dluoma - Ithaca ny Fits great fast service "Wore a few times on sled really like it so far. Didn’t come with stickers tho. 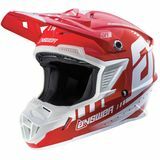 Made me faster than Ricky Carmichael"
Courtney M - Gilbert, AZ Looks awesome great product "Love the helmet runs small, very small."